Need gutters installed, cleaned, or repaired in Pembroke Pines, FL? Pembroke Pines is a city where the weather is pleasant all year round, but just as in any other place in the United States, the fall and winter months can be a bit more difficult for homeowners who love to keep their homes and yards clean. Gutter cleaning can be a time consuming task, especially if they haven’t been cleaned in a while. The importance of gutter cleaning during the fall, winter and even spring seasons cannot be stressed enough. Gutter installation is one of the most important tasks that has to be done when a house or building is being built. Properly planned gutter installation ensures that rain water drains away from the house without getting stuck or blocked on the roof. If the gutter installation has not been done by professionals, chances are that the rainwater will get stuck. Whether it sits on the roof or along the eaves and other places, when water seeps in and affects the structure, a once small job turns into a major construction project. Another issue with improperly installed gutters is that damned up water gets stagnant and becomes a breeding ground for mosquitoes along with other insects. This can lead to pests hiding in the debris that gets left behind in gutters. If gutters are not properly installed, then the next option may be gutter repair to get it back into shape. 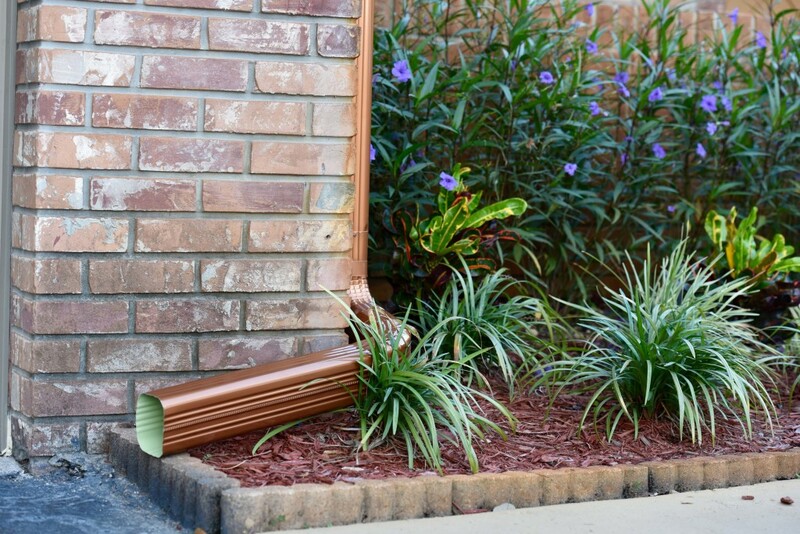 In Pembroke Pines, gutter repair is one of our specialties at Gutter It Up. Our experienced professionals will ensure that the gutters remain undamaged and unaffected no matter what the weather conditions might be. Even with efficient gutters that shift water draining away from the house so that the roof and walls are not affected, there still can be problems. If the downspout of the gutters drain water near the foundation of the house, this can damage the foundation and affect the house itself. If there are any plant beds near the house, then these too will be affected by the water that comes rushing in through the downspouts. 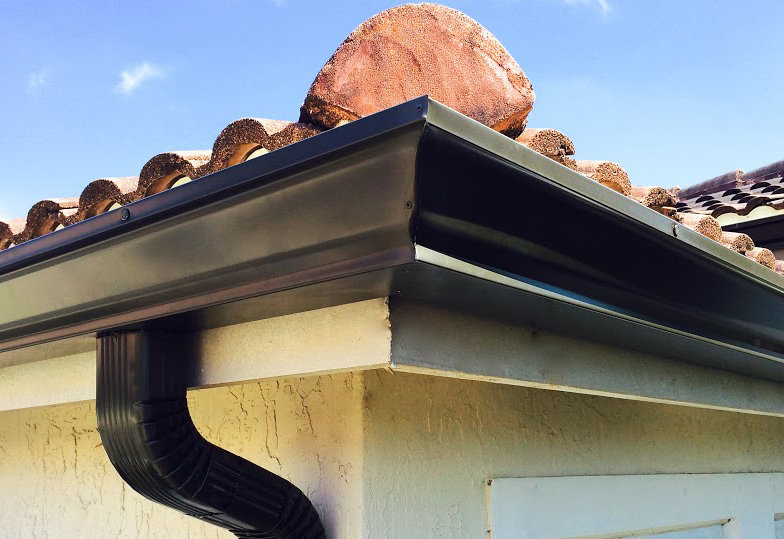 In Pembroke Pines, an effective solution to improperly installed gutters or downspouts is extensions. Gutter extensions are fitted to downspouts so that water does not pour into the foundation of the house. Rather, it can easily be diverted to other areas away from the foundation and other areas that can compromise a home’s structure. There also can be options such as perforations in the extensions of gutters which will have the added benefit of watering the plants gently instead of water gushing forcefully into the plants. These types of gutter extensions typically blend beautifully with the overall aesthetics of the house as well as the landscape design and even enhance the visual appeal of the house even more. how close the trees are to your home. Frequent check-ups also can help prevent major problems from developing. At Gutter It Up, we have the right equipment and the right cleaning agents that will make your gutters run smoothly within no time at all. In Pembroke Pines, any service related to gutters is now effortless with the help of our services at Gutter It Up. We can be reached at (954) 603-1888. Call us today and let our experienced and highly skilled team take care of your gutters so you don’t have to worry about them anymore!